In April of 1978, Boardman Township became the first township in Ohio to implement Civil Service protection for police officers and firefighters. The Civil Service Commission is composed of three citizens of the township appointed by the trustees to maintain professionalism in the departments. The commission adopted a set of rules and regulations to regulate the various aspects of employment and promotion within the safety forces. They also hear appeals of individuals with regard to disciplinary charges. Institution of the Civil Service Commission has removed political pressures from the hiring, firing and promotion within the safety forces. Whenever a vacancy occurs within the Police or Fire Department, it is filled from an existing eligibility list. Every two years (on the even-number years) the Civil Service Commission administers a competitive entry-level examination for police and fire candidates. All candidates passing the examination are placed on the eligibility list in accordance with their grades. These eligibility lists are in effect for two years. 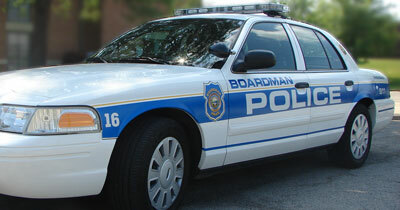 The Boardman Township Trustees are seeking to fill the position of full-time Dispatcher (40 hrs. per week), in the Police Department. Applicant must be willing and able to work all shifts including weekends, holidays and overtime. Initial consideration will be given to applicants with previous dispatch experience. Must possess a high school diploma, and undergo a successful background investigation, physical exam including drug testing if offered the position, and complete a one-year probationary period. Responsibilities: answer incoming calls (911 and non-emergency); multi-tasking communication skills; assess critical situations and prioritize; disseminate information accurately; deal with the public in a professional, service-oriented manner. Click here for a complete Job Description. Starting salary after completing training is $31,572.73 with benefits. Applications can be obtained at the Boardman Twp. Police Department Records Room or at the link below. Applications should be submitted to: Sgt. Charles Hillman, Boardman Police Department, 8299 Market Street, Boardman, Ohio 44512. Boardman Township is an Equal Opportunity Employer. 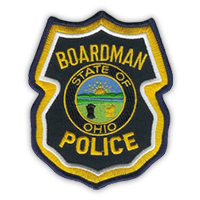 An open competitive examination will be conducted by the Boardman Township Civil Service Commission for the following position: Police Officer. Please visit the Civil Service page on Boardman Township’s main website for further information. Or contact Civil Service @ 330-726-4199.